The Pre itself has very natural lines and looks as though it feels absolutely fantastic in the hand. There are subtle touches throughout. One of the biggest ones is that the main portion of the screen has a significant and noticeable curve at the corners. The result is that the standard (and necessary) information like signal strength, carrier, time at the top and notifications at the bottom actually appear to be part of the hardware of the phone instead of interrupting your experience of whatever application you happen to be using. 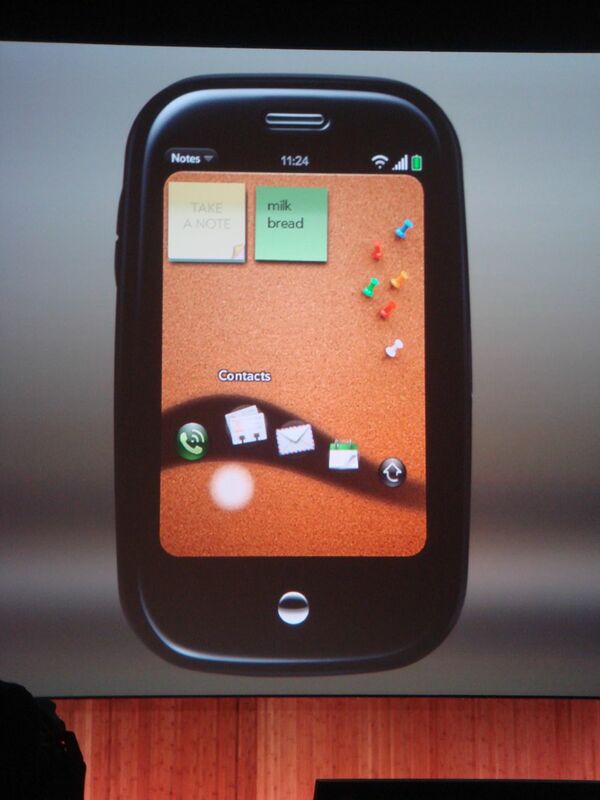 Palm really focused on how the Pre helps you focus on what you want without distraction and the Pre delivers. However you do need all that distracting information so it's there, just not in a way that constantly bothers you. You may have noticed that I'm ostensibly in the "hardware" section of this impressions article but I've diverged into talking about software. That's key to the Pre's success -- the two are completely intertwined. Back to hardware -- the touchstone (more on the Touchstone capital T in a moment) is 'natural.' 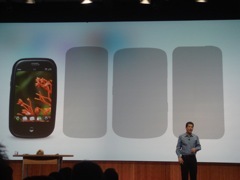 The size and shape is small - smaller by a significant degree than both the iPhone and the BlackBerry Bold. There are no sharp edges anywhere. In fact, it's a 'banana slider,' meaning that it has a wonderful curve when you open it up so it will feel better and line up with your face better. 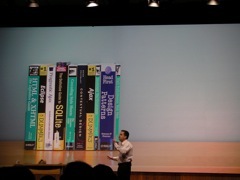 There's also design innovation here and again, we come back to the merger of hardware and software. The touch-sensitive part of the Pre actually extends below the screen to the 'gesture area.' This allows you to use easy and logical gestures to perform common tasks. Swiping left goes back. Swiping up shows you your applications. Swiping up and holding is also applications, but this time you get a 'wave' of your most important apps. They've managed to take an important need -- having buttons available to quickly get to applications from anywhere -- and translated it into a touch interface. As long as we're talking touch interface, I'll note that the phone also fully supports multitouch -- more natural than what's available on Treos or even on the G1. 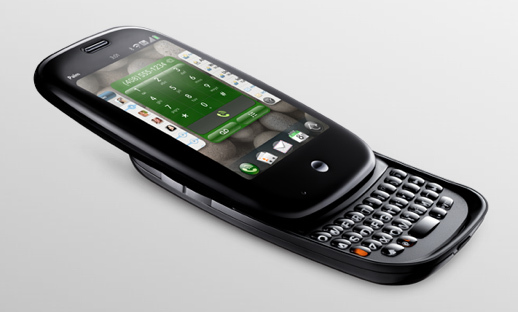 On top of all of that, Palm also managed to include a full QWERTY keyboard that looks to be a significant improvement over the Treo Pro/Centro style without taking up much more space. Palm also rocked the specifications, delivering a device with 3G speeds on EVDO, WiFi, GPS, Bluetooth, a flush 320x480 touchscreen that is capacitive (like the iPhone) instead of resistive (like Treos), and a 3.5mm headset jack. In all, the hardware is top notch and I can't wait to hold it. Equally innovative: webOS. 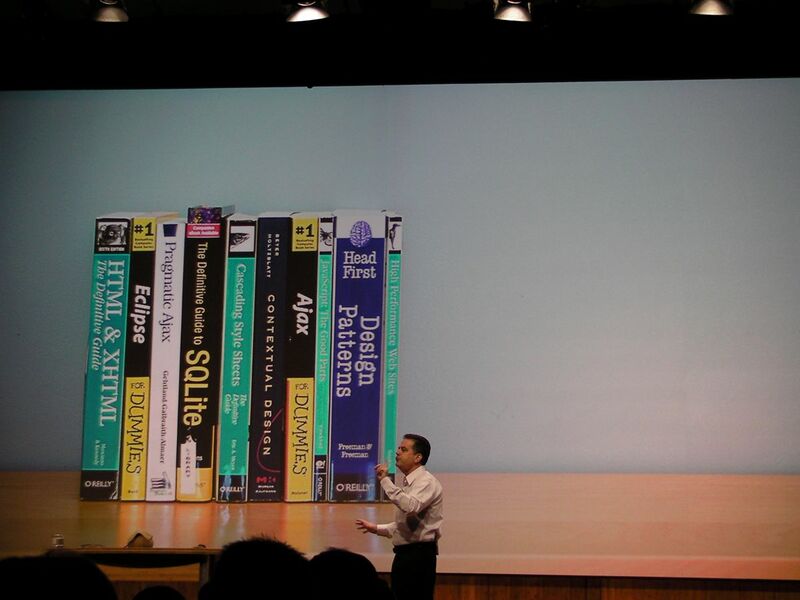 We know that it has Linux roots, but unlike Android you would never know it by looking. 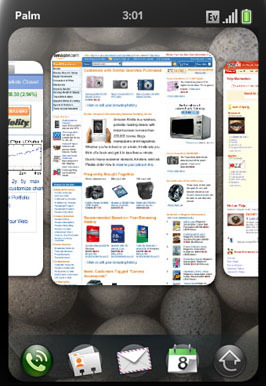 Once again, everything about webOS on the Pre looks natural and -- dare I say -- intuitive. There are just so many nice touches throughout that it will be hard to touch (ahem) on them all, but I'll give it a shot. At the beginning of this article I mentioned that even though I fully expected Palm's 'New-ness' to be spectacular, I wasn't sure if it would be enough. That "enough" is developer support, and here Palm looks to have allayed my fears completely. Rather than try to compete with Android by creating an entirely separate dev kit for developers, Palm has gone with the remarkably simple route of just basing the entire application structure on web standards. However, 'web apps' on webOS are native instead of requiring a web connection, which allays some of that fear. The thing that really sealed the deal for me is that every Palm application was developed with the same web tools that they're offering to developers. In other words, they're "eating their own dogfood" and the dogfood looks good. While I won't say for sure that this web-standards-based development scheme will allow for hyper-immersive apps, I will say that you can do a lot more than you might expect. More to the point, in one fell swoop Palm solved what could have been a serious developer crisis. Right now mobile developers face a growing array of mobile devices to chose from -- Android, iPhone, Windows Mobile, and S60. How could Palm draw developers away from those platforms or get them to add their OS to their repertoire? The answer: just use tools that an incredibly large section of them already use and an even bigger set of developers use for web development. Coming later today: thoughts on how webOS manages multitasking better than any other smartphone out there, bar none; how Palm has finally implemented my five-year-old 'type to find anything' dream, and much more. Stay tuned to TreoCentral for everything Palm Pre. Discuss this article in our Palm Pre Forum!